We are excited to announce a great new feature in our site: Live Chat Room. Visitors have requested this for quite some time and we finally had the time to integrate it. To have access to our chat room you must have a valid Mortal Kombat Secrets account. Then all you have to do is Log In. We hope to see most of you there. Like always we will be happy for some feedback.  The chat can be found on the main forums page or by following the Chat Room link in our main menu. CHICAGO – February 16, 2009 – Midway Games Inc. (NYSE: MWY) today announced it has received approval from the U.S. Bankruptcy Court for the District of Delaware of its cash collateral and other first day motions, which were submitted as part of its February 12, 2009, voluntary filing for reorganization under Chapter 11 of the U.S. Bankruptcy Code. As previously announced, the filing includes Midway's U.S. operations, but does not include the company's non-U.S.-operations, which will continue business as normal. In approving the motions, the court authorized Midway, among other things, to utilize its cash to maintain ongoing operations pending a final hearing; to continue salary and expense-reimbursement payments and other benefits to employees; to honor and perform obligations under its customer programs, such as price protection and Market Development Funds (MDF) programs, regardless of whether these obligations arose before or after the Chapter 11 filing; and to pay certain pre-petition trade claims held by critical vendors. Midway has received court approval to continue using its existing cash-management system and its pre-petition bank accounts and check stock. In addition, the company is authorized under the Bankruptcy Code to pay vendors and suppliers in the ordinary course for post-petition goods and services. "Approval of these motions is an important first step in this planned and orderly reorganization, enabling Midway to continue to operate as usual during this process," said Matt Booty, Chairman and CEO. "We remain confident in Midway's ability to use this proven process to address our capital structure and explore our strategic alternatives." We just added a chat room to our site. It can be found on the top menu under Chat. The chat room is still a WIP and in experimental stage. It will definitely get a lot better then it is yet. When it is finished it will appear on the main board page and also as a site section. CHICAGO – February 12, 2009 – Midway Games Inc. (NYSE: MWY) today announced that the company and its U.S. subsidiaries filed voluntary petitions in U.S. Bankruptcy Court for the District of Delaware for reorganization under Chapter 11 of the U.S. Bankruptcy Code. The filing does not include the company's non-U.S. operations, which will continue business as normal. In its filing with the Bankruptcy Court, the company cited that the November 28, 2008, change in ownership triggered accelerated repurchase obligations relating to two classes of Midway debt, which Midway anticipated it would be unable to satisfy. "This was a difficult but necessary decision," said Midway Chairman, President and CEO Matt Booty. "We have been focused on realigning our operations and improving our execution, and this filing will relieve the immediate pressure from our creditors and provide us time for an orderly exploration of our strategic alternatives. This Chapter 11 filing is the next logical step in an ongoing process to address our capital structure." "Midway enters this process with strong underlying fundamentals, as evidenced by solid fourth quarter sales that exceeded expectations in spite of a challenging retail and general economic environment," Booty added. "Overall, Mortal Kombat vs. DC Universe sales are approaching two million units shipped, TNA iMPACT! has shipped approximately one million units, and our Game Party franchise has sold close to three million units in total." Midway expects that Chapter 11 protection will enable the company to conduct its business operations as usual. To that end, Midway is seeking approval from the court for a variety of First Day Motions enabling the company to continue managing its operations in the ordinary course. These motions are typical of the restructuring process, and approval is regularly granted.